As April shakes off the frost in our frozen town, things start to heat up in many amazing and terrible ways. Flowers spring out of the plastic-bag-encrusted earth, gang bangers polish their drive-by bumpers, and activists get out their sharpies and poster board. Even playwrights are filled with slivers of foreboding and hope about the fate of humanity. Which is why spring is the season when social justice plays abound! One of Chicago’s fine actors, Marc Grapey, explains palm trees on Chicago’s lakefront in “Café,” a 90-second video. The series, sponsored by a new nonprofit, Friends of Chicago’s Neighborhood Theatres, promotes Chicago’s neighborhood theater scene. In the first video, Grapey plays a regular Chicago guy musing about outdoor dining in a monologue written by Robert Koon. Five videos have already been shot and will be launched online every two or three months. Judy Garland’s classic 1961 concert at Carnegie Hall will be re-created at the Skokie Theatre, 7924 N. Lincoln Ave. Twelve of Chicago’s leading stylists and entertainers will perform the songs on her setlist. The live album of that performance was on the Billboard charts for 94 weeks. One night only. Buy tickets for $32 here or call 847-677-7761. The eighth edition of CIMMfest will showcase music and movies about music in Chicago’s culturally diverse neighborhoods, including Logan Square, Wicker Park, Hyde Park, Lakeview and Pilsen. Event tickets are $8 for concerts and $12 for films; passes start at $79. See schedule and buy tickets here. April 8-21 at AMC River East 21, 322 E. Illinois St. The festival will feature more than 100 short and feature-length films from Latin America, Spain, Portugal and the US. All films will be shown in their original languages with English subtitles. Discussions will filmmakers will follow most of the screenings. The festival will celebrate Kartemquin Films’ 50th anniversary with a special screening of Maria Finitzo’s critically acclaimed documentary In the Game, at 6pm Tuesday, April 19. See the film lineup and buy tickets. The MCA is presenting the live performance of Haptic, an experimental music group that works with installation, sound, music, literature, and visual arts. The Chicago-based trio mixes improvisation and recordings in their performances. Working with large installations and polystyrene, Sabina Ott will be presenting her solo exhibition always repeating is all of living at the commercial video gallery, Aspect/Ratio where she will transform the architecture of the space. The exhibition will open April 16th from 5-8 p.m. and runs through May 28th. The Ukrainian Institute of Modern Art, 2320 W. Chicago Ave., is dedicating both its galleries to two exhibits addressing the 30th anniversary of the Chernobyl nuclear disaster on April 26, 1986, in Pripyat, Ukraine. The exhibits will show the work of artists exploring Chernobyl before, during and after the incident. An opening reception will be 6-9pm Friday, April 1. The gallery is open 12-4pm Wednesday-Sunday. Phone 773-227-5522 for info. Admission is free but donations are welcome. Since the inaugural Record Store Day in 2008, independent record stores have been banding together to celebrate the culture that music and its listeners have created around them. This year is no exception as RSD and its 2016 ambassadors Metallica continue the tradition of offering a long list of exclusive vinyl record releases. With more than 300 releases, there is surely something for every vinyl lover out there. You can head to any one of the participating stores in Chicago and the rest of Illinois to check out the festivities, which often include in-store performances and a plethora of free swag. The Chicago Humanities Spring Festival “Style” kicks off its programming in April. Though the smaller of the organization’s festivals, the spring festival is packed with A-list speakers at convenient locations downtown for a low cost. In April, check out poet Helen Macdonald; international best selling memoirist Karl Ove Knausgaard; memoirist Margo Jefferson in discussion with fiction writer Darryl Pinckney; and journalist Elizabeth L. Cline. Young People’s Poet Laureate and author of the Newbery Award and National Book Award winning Brown Girl Dreaming will be at the Poetry Foundation for two events on April 9. She’ll read during an open house in collaboration with the Art Institute of Chicago from 10am to 3pm. The open house will feature mini-dioramas of Van Gogh’s bedrooms, interactive activities and refreshments. After the open house, Jacqueline Woodson will read to adults at 7pm. The Poetry Foundation is located at 61 W Superior St. Both events are free and don’t require reservations. This month Tracie, our resident foodie, is focusing on educational drinking opportunities in our fair city. Here’s her abbreviated list, and the full write up is on our Food page. Haymarket Pub & Brewery Sundays at noon, 2 and 4pm. $15 for tour and tasting. Reservations required 312-638-0700. Haymarket Pub & Brewery 737 W. Randolph. Second Friday of the month beginning at 2pm. $30 (free for kids under 13) and included unlimited tasting and a bag of fresh roasted coffee beans. Reservations are recommended. Intelligentsia Coffee’s Roasting Works is located at 1850 W. Fulton. KOVAL offers tours on Wednesdays, Thursdays, Saturdays and Sundays. For $10, sample KOVAL spirits. Tickets are available online. KOVAL Distillery is located at 5121 N. Ravenswood. Revolution Brewing Tours last approximately 45 minutes and include a tasting. Hours are noted online; they don’t take reservations. Free tours Wednesday to Sunday Revolution’s production brewery is at 3340 N. Kedzie. “Science of Alcohol Tour” Tuesdays and Saturdays. Tickets $15 and reservations made online. CH Distillery is located at 564 W. Randolph. Sit down. Take a breath. And BUCKLE UP! We are going to start posting Op-Ed content in our Beyond section. Look at the full announcement from our founder and publisher, Nancy. Just know this, we want to hear from you (if you’ve got opinions worth reading about)! 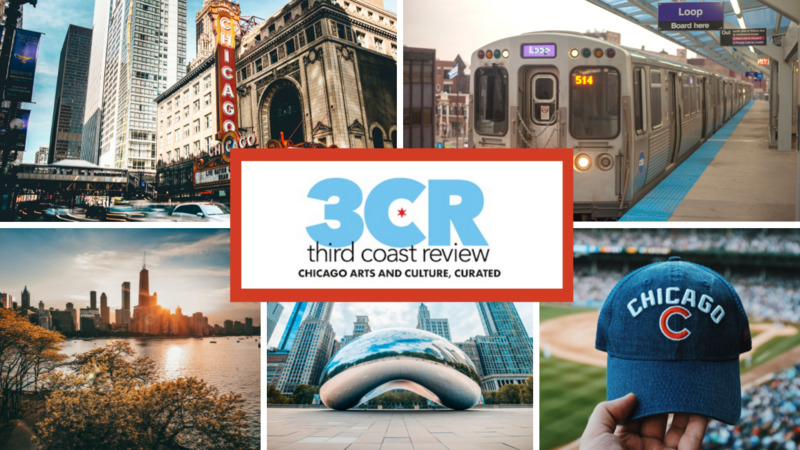 Politics, pop culture, Chicago gossip, and even creative works are welcome.